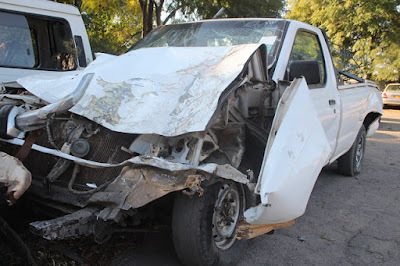 Absalom Sikhosana (69), a Zanu PF politburo member has narrowly escaped death after a vehicle sped over a kerb dividing a road and collided head-on with his along Khami Road in Bulawayo. 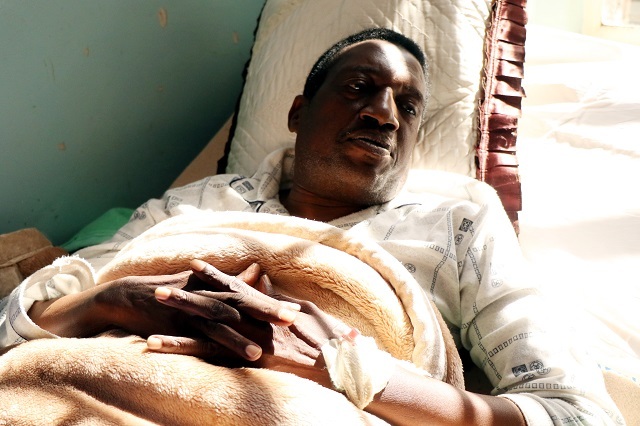 The Chronicle reports that the driver of the other vehicle, a South African registered Toyota Hilux, identified as Collen Gift Nyathi (37) died on the spot following the horrific crash on Saturday just after midnight. As traffic police officers attended the scene another vehicle rammed into Cde Sikhosana’s Nissan NP300 vehicle and its driver, Mr Gerald Moyo (28) sustained serious injuries. Mr Moyo was rushed to the United Bulawayo Hospitals (UBH) where he is under intensive care.